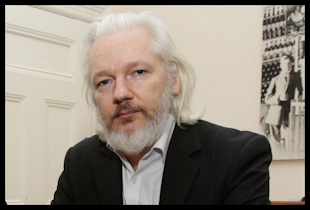 Free Julian Assange born Hawkins; 3 July 1971, is an Australian computer programmer and the editor of WikiLeaks. Assange founded WikiLeaks in 2006, but came to international attention in 2010, when WikiLeaks published a series of leaks provided by Chelsea Manning. These leaks included the Collateral Murder video (April 2010), the Afghanistan war logs (July 2010), the Iraq war logs (October 2010), and CableGate (November 2010). Following the 2010 leaks, the federal government of the United States launched a criminal investigation into WikiLeaks and asked allied nations for assistance. Support the French Yellow Vest Movement! !